For some strange reason there are footballers who simply perform better away from home than they do on their very own stomping grounds. I'm not talking about their on-pitch contributions though, but rather the unsavoury shenanigans some of them get up to. Manchester United legend Ryan Giggs did everything possible to keep the story of his extramarital affair out of the papers a few years back for good reason: he was shagging his brother's wife. It wasn't just a one time filthy fumble after a drunken Giggs Family dinner either. The former Welsh international had been slipping it between the goalposts of his brother Rhodri's wife for eight long years before the story got out. 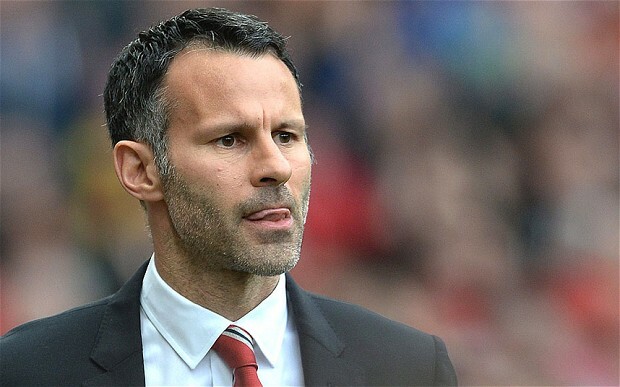 With United fans currently calling for manager Louis van Gaal's head, some are suggesting Giggs should take the job. It's not as if Giggs doesn't have experience in taking another man's role and picking up his sloppy seconds afterall. Chelsea's Captain, Leader, and Legend John Terry proved himself to be less than an ideal teammate in 2010 when it was revealed that he had engaged in a few rounds of hide the sausage roll with teammate Wayne Bridge's soon to be ex-wife Vanessa Perroncel. 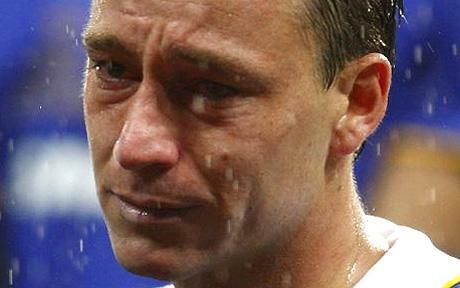 Terry would lose his England captaincy over the sordid affair. There were, naturally, a lot of jokes made about the affair, my favourite of which being, "What do Wayne Bridge's ex-missus and the 2008 Champions League final goalpost have in common? They’ve both been banged by John Terry." When Ashley Cole married Girls Aloud singer Cheryl Tweedy in the summer of 2006 it seemed like the latest perfect match between football and the world of pop. But despite being wed to the lovely Cheryl, Cole tore through women quicker than he used to get down the left side for Chelsea and England. After a string of affairs his marriage fell apart in less than four years. Perhaps he would have been happier with a Spice Girl? On second thought that Sporty Spice looks like she'd chop a guy's balls off if they tried something like this while in a relationship with her. 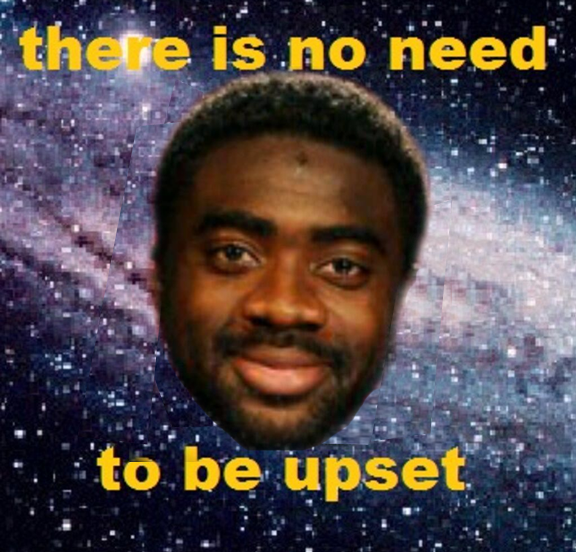 Former Manchester City defender Kolo Toure cheated on his wife with a young model in 2012 while claiming to the unsuspecting bit on the side that he was a car salesman from Ghana. The Ivory Coast international would sneak into her council flat wearing a pulled down ball cap, so he wasn't recognized, and explained the gifts he was showering her with by claiming record sales. I've heard of guys pretending to be footballers to land women, but footballers pretending to be car salesmen? Whatever works I suppose. One of our loyal readers, Jason Bramble, makes a point each Monday of diligently going through our weekly Football Babes feature and helpfully pointing out when any of them appear to be packing something other than an extra tube of mascara in their pants. 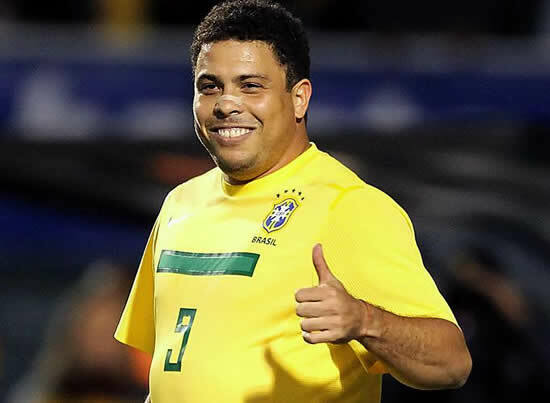 Well, the Brazilian Ronaldo, aka "Fat Ronaldo", could have used Mr. Bramble's services in 2008 when he picked up three prostitutes in his homeland for a bit of slap and tickle, who unexpectedly turned out to be transvestites. Police were called to his hotel room after he realized the girls all had twigs and berries, flipped out and then refused to pay them £15,000 in 'hush' money. Ronaldo later claimed that he wasn't in the right frame of mind when he picked up the three ladies of the night, while they countered that he knew all along that they were transvestites and also that he hoovered up a few lines of Colombian bam-bam with them for good measure.